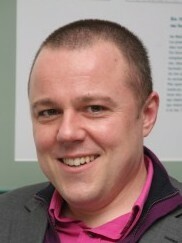 Professor Charles Forsdick was appointed James Barrow Professor of French at the University of Liverpool in 2001. He is a strong advocate for the centrality of Modern Languages to arts and humanities research, and is a specialist in the cross-disciplinary fields of travel writing, slavery studies, postcolonial literature and colonial history. He has been a visiting professor in Paris, Barcelona and Melbourne, and was awarded a British Academy Senior Research Fellowship in 2004, and a Philip Leverhulme Prize in 2005 for his contribution to Modern Languages. He has served on the executive committees of the Association of University Professors and Heads of French and the Society for Francophone Postcolonial Studies, and is currently President of the Society for French Studies and became a Fellow of the Academy of Europe in 2011. Charles has published widely on travel writing, colonial history, postcolonial literature and the cultures of slavery. He is also a specialist on Haiti and the Haitian Revolution, and has written widely about representations of Toussaint Louverture.